So far, Austria hosts just one Room 13 studio in its capital city, Vienna. 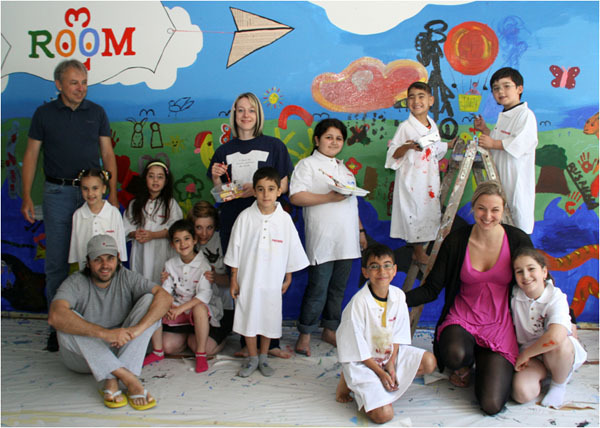 Room 13 Vienna offers children in the Bruno Kreisky Refugee House different creative workshops every two weeks. All children aged between four and 12 years can join these events, at which they explore topics such as nature, everyday culture, future prospects, sociology, philosophy and art. In addition, workshops are organised with specialist teachers and artists in drawing, dance, singing, theatre plays and much more. The aim of the programme, which is supported by TBWA\ Austria, is to offer children some relief from the hardship of daily life, and the opportunity to enjoy things that they wouldn’t otherwise get to experience. Through the Room 13 programme, the participants enjoy museum visits and studio visits and open their minds to the possibilities of creative enterprise.